We decided to take an easy day today and walk locally. Along the way to the sand dunes outside of town, a friendly, energetic (or should I say super-hyper) dog adopts us and stays with us most of the day. 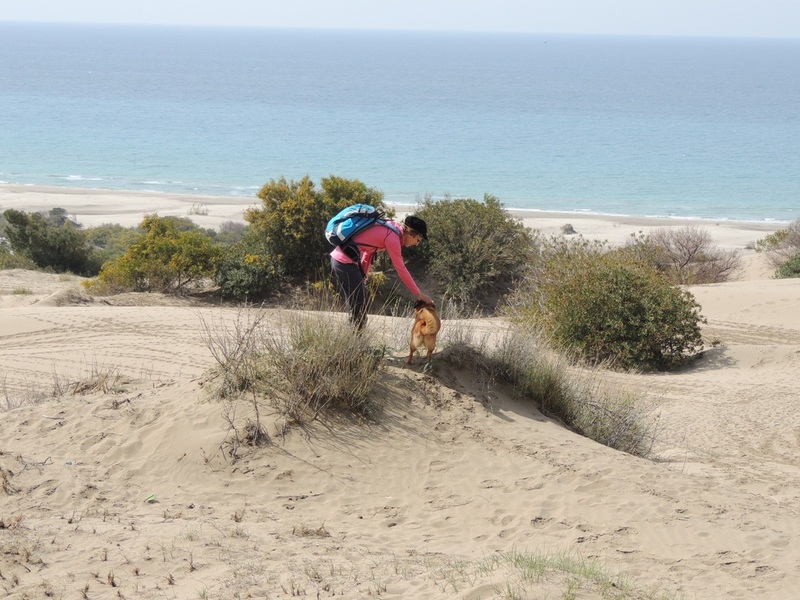 We've never seen a dog so alive with the joy of running at warp speed up and down sand dunes, along the beach, and up the hills. 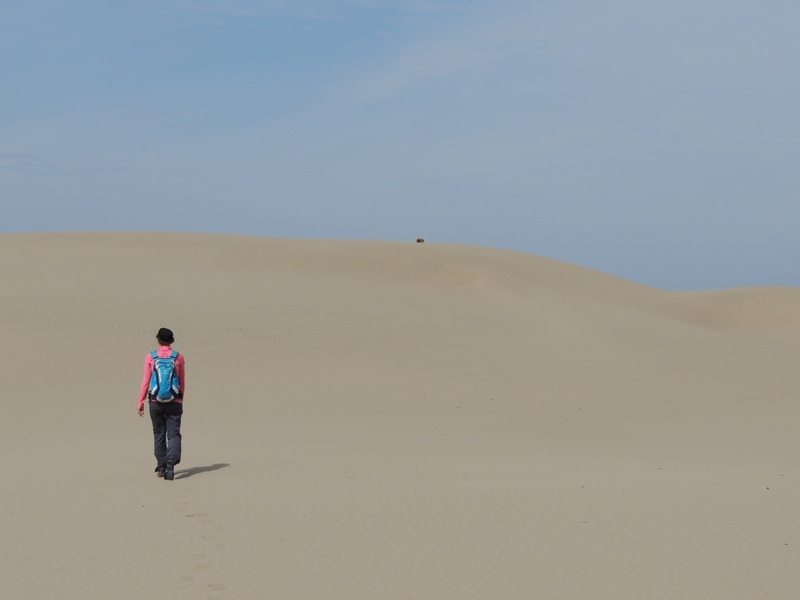 After walking to the sand dunes we veer down to the beach where there is a strong head-wind as we walk toward the ruins. 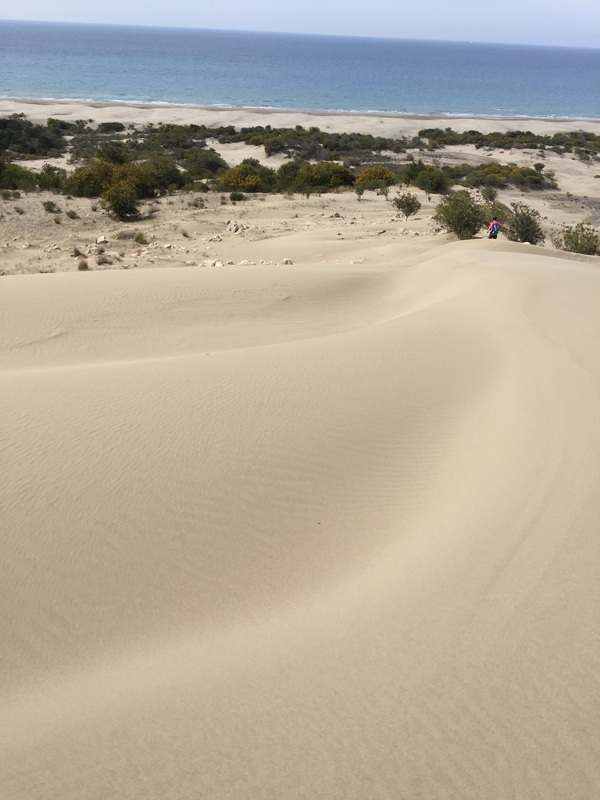 This beach is a huge draw in the summer time with the white sands extending uninterrupted for 18 km. 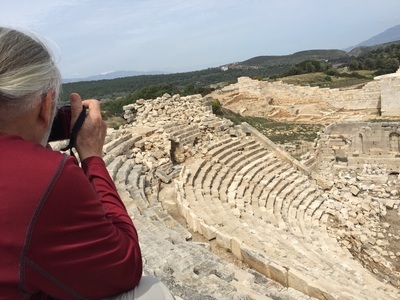 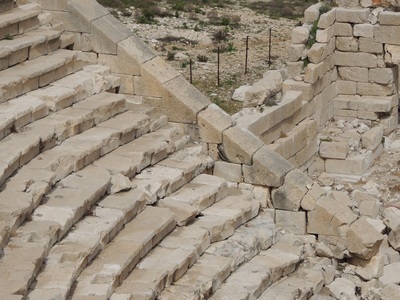 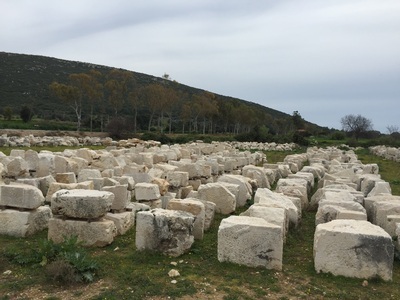 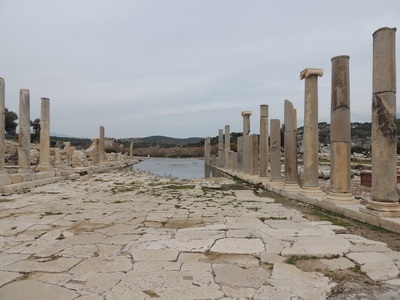 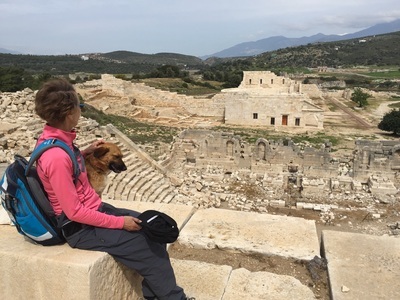 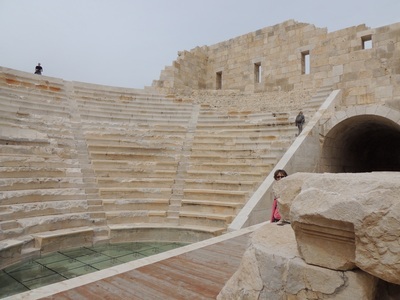 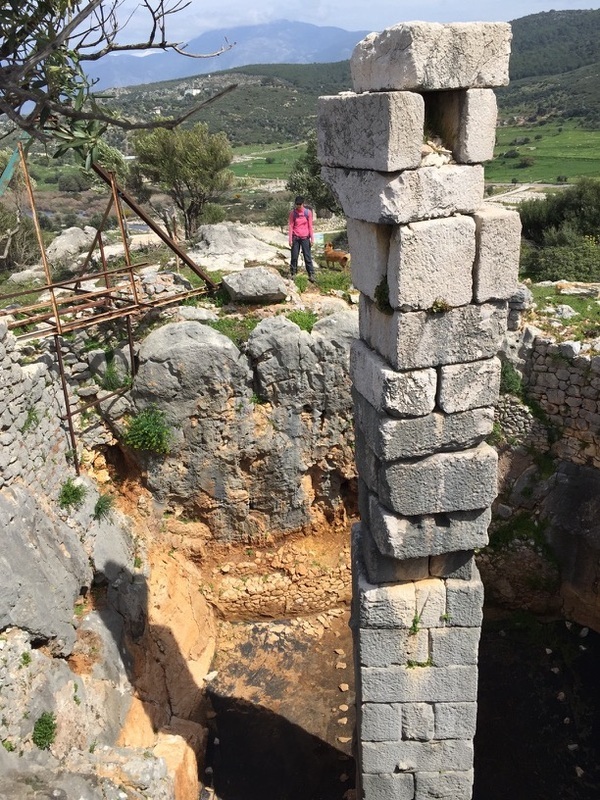 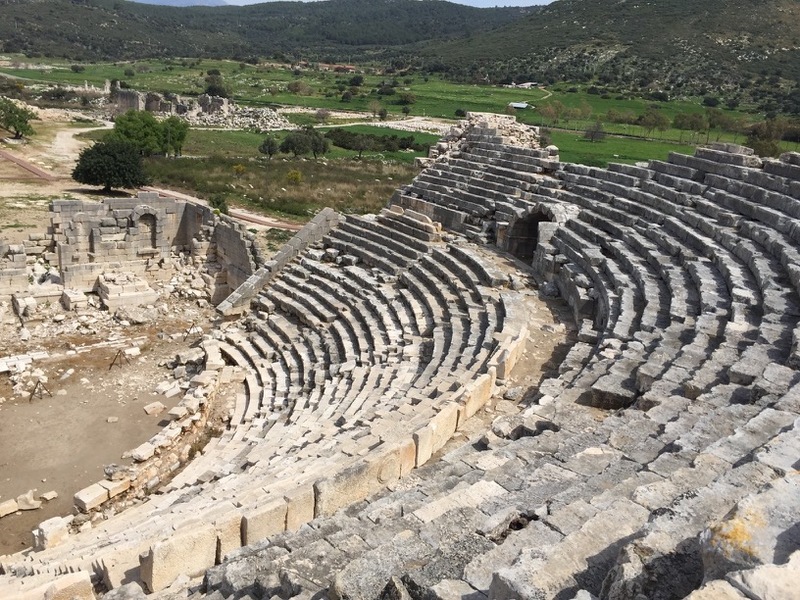 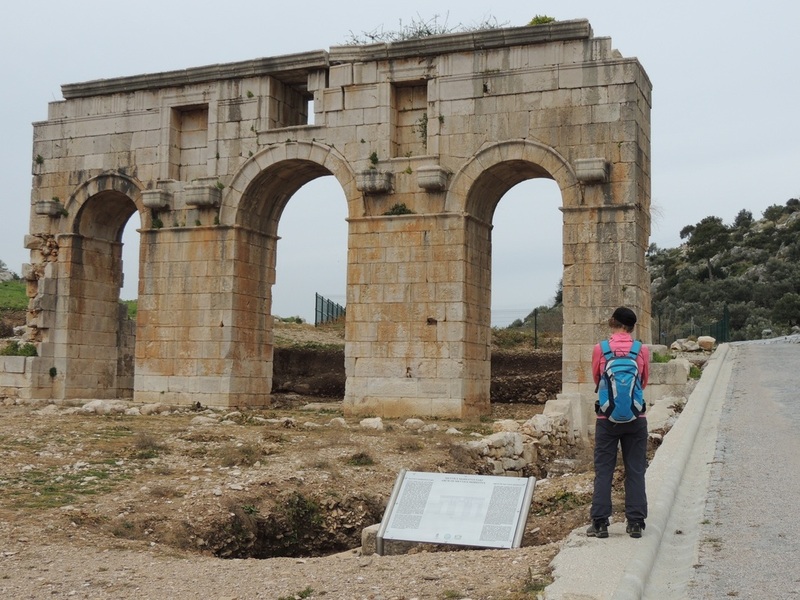 Now, how to describe these ruins... First of all, Patara was once a flourishing maritime and commercial Lycian village complete with amphitheatre, temples, lighthouse, baths, granary, stadium, council building, tombs, arches, etc. 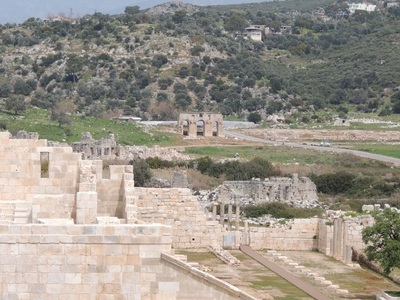 and was taken over by Rome in 43 AD. 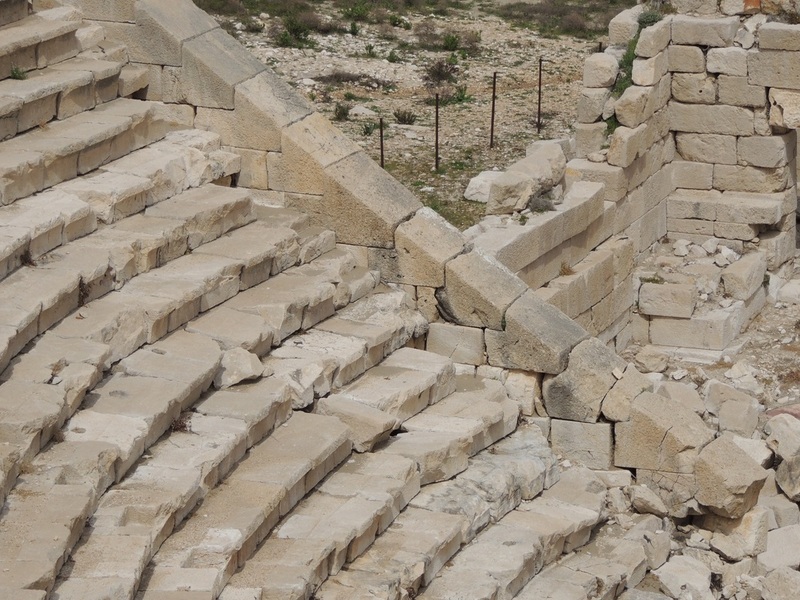 Many of the ruins were discovered under dunes of sand and there are more still waiting under sand to be dug out. 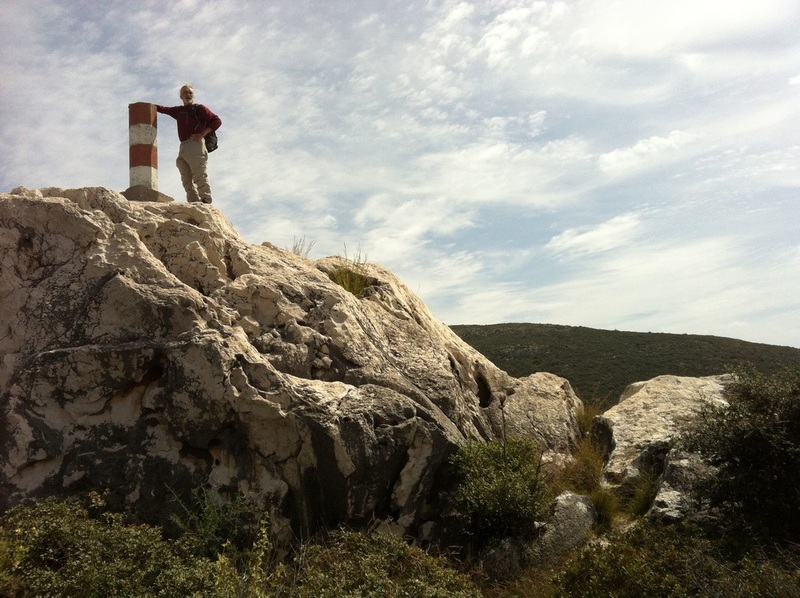 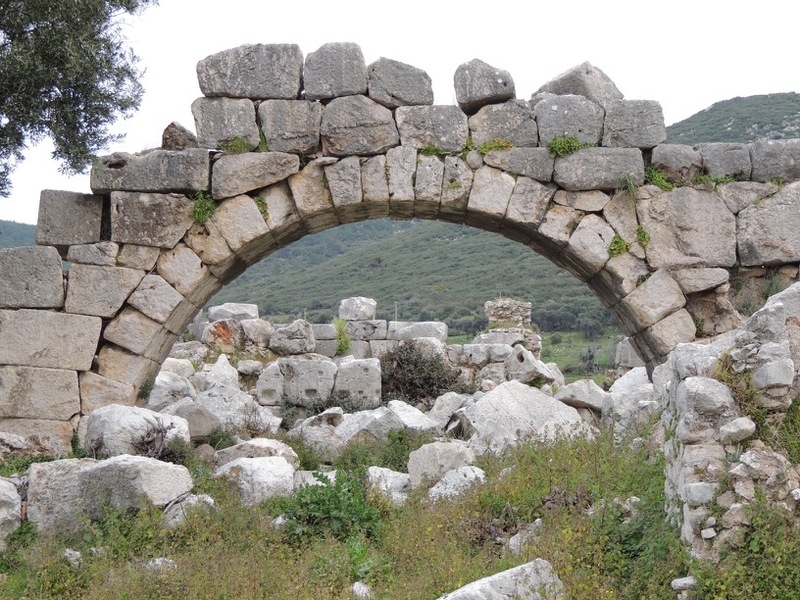 This web site tells about the Lycians . Since we approached the ruins from the beach up the hillside, we were able to get an overview of the city before going down to explore. Billy, especially, was fascinated with the engineering and construction of it all. 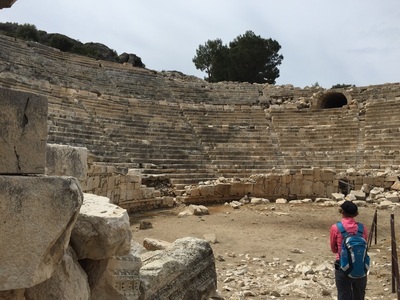 We ate our lunch at the top row of the amphitheatre imagining the 6000 seats filled with people watching a play or in later times Roman gladiators battling it out.